RURAL OHIO – It starts somewhere. When you see on the news something that is supposed to be disturbing, it’s good to stop and think. There has been lots of news lately about the human caravan of people coming into the United States from the southern borders. This is news.It’s not fake news. It is part of the history of this country that folks want to come here, to live here and nurture a family. When I see that kind of news, I think of people in every corner of that equation. Border patrol people have a thankless job. They must be vigilant to do jobs required of them. They also must be understanding, aware of the trauma many people have endured to get as far as the border between Mexico and the United States. Right now, people from Guatemala and Honduras are trying to get here. Still time to get early tickets for Saturday’s Bellville/Bryan game. In my Washington business, I employed Americans and people from El Salvador, the Dominican Republic and Guatemala. One unfortunate, but probably descriptive event in my tenure as owner of Takoma Kitchens, involved a family of three Cifuentes brothers. I had a large, new commercial kitchen, set up to bake anything I chose. I supplied accounts, like Costco, plus numerous farmers’ markets. A short, burly man named Marco Cifuentes found me by scouting out my kitchen. He, at one point, had rented space from a bakery in Langley Park, not far from my place in Hyattsville. It’s a pretty common thing for people coming into this country to find someone — anyone — who will do them a favor. I had been approached many times by wannabe bakers, food purveyors, because they saw I had a fully-licensed, inspected commercial kitchen. That is not an easy commodity to have in Washington, D.C. But if you have the wherewithal to put money into a commercial kitchen, people will find you. I would be approached by someone who thought she had the best chocolate chip cookie recipe. My question to her would be: How much time do you want to spend doing this? How good are you at lifting and carrying 100 pound bags of flour and sugar? When Marco approached me, I was at a point where I wished to be elsewhere. I had a farm in Ohio. I loved growing and selling there. My business was sufficiently advanced that others could do the work, carry out the duties. My husband John helped with that, but also handled his job as head of an investigative journalism group. So Marco, accompanied by two brothers, moved into my space. Of course, financial arrangements were made. His crew could work after mine. Reality, however, was a bit rough. Marco, one brother who had been in law enforcement, and another, (background never determined), moved in. They brought in racks and racks to store their goods. The baked goods coming from these guys were all small, very small. One woman, Dinora, did the majority of the tedious, back-breaking work. Marco loved being in the space and was proud of the fact he had a desk, a bookshelf I had loaned him. At one point, Marco allowed an unnamed, unknown baker to work. This person was not familiar with large commercial ovens. I had a high capacity Revent oven, placed by the gurus from Hobart. This baker tried to take out an oven rack by turning it the wrong way and broke the central shaft of this very expensive, $30,000 oven. You couldn’t just call and order another Revent oven to be delivered tomorrow. These had to be ordered, and it took time. I contacted the Hobart rep, and amazingly he said someone had a Revent, but was not going to get it. I could get that one, but of course, to the tune of another $30,000. I — ever the mediator in difficult situations — conferred with Marco and told him without a replacement oven, there would be no business. If he wanted to be involved, he would have to pull together his share in advance. And give it to me. You can say many things about people new to this country. Many have business sense that guarantees a cash flow. Marco got the cash. The business continued. As business owner, I sponsored several of my employees who could get legal here by getting a labor certification. This was a time-consuming legal process. 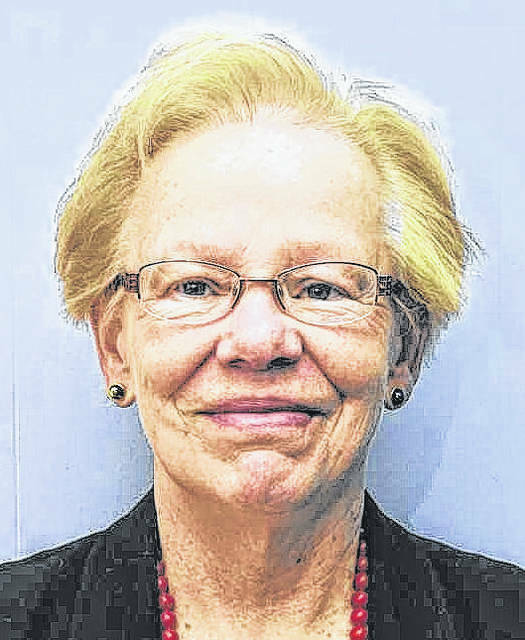 It allowed one phenomenal woman, Roxana Martinez, to become legal. She ended up being honored for her work at the bakery at the University of Maryland. Other employees were not so remarkable. There was a lure about my place because I also catered. Leftover items would be stored in the walk-in. Two young women found shrimp, and ate them all. Once, I found a note written by Marco’s brother, scribbled on a page of a telephone book on my desk. I couldn’t decipher it, but it looked very much like a threat. The bottom line? You get the good with the bad. For my part, I am second generation immigrant with family from the Schwarzwald region in Germany. My grandfather Christian Schwarzwalder came here. So did my grandfather William Barden, on my mother’s side. 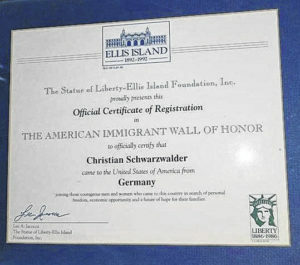 Christian Schwarzwaldet papers he received upon arriving from Germany. https://www.thebellvillestar.com/wp-content/uploads/sites/39/2018/11/web1_Christian-Schwarzwalder.jpgChristian Schwarzwaldet papers he received upon arriving from Germany. 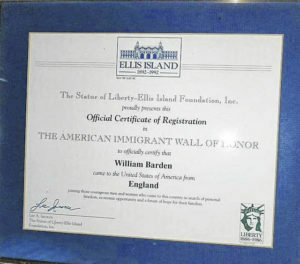 Ellis Island papers received by my grandfather William Harden upon arriving in the United States. 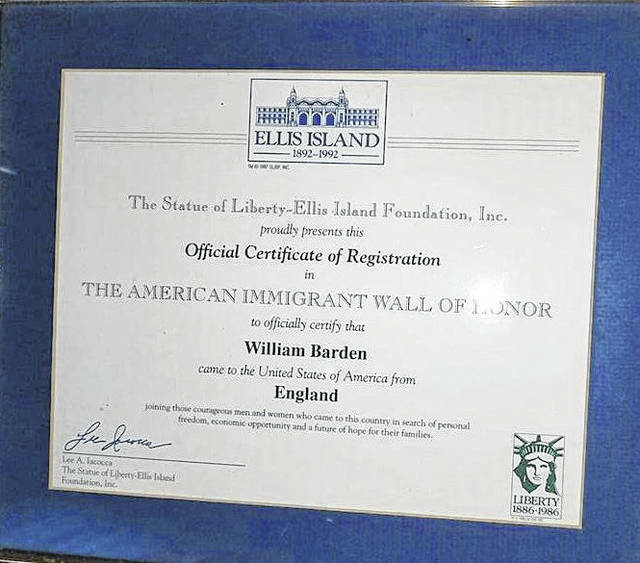 https://www.thebellvillestar.com/wp-content/uploads/sites/39/2018/11/web1_William-Barden.jpgEllis Island papers received by my grandfather William Harden upon arriving in the United States.